UF junior Jack Massey was paralyzed from the chest down after back flipping into a shallow pool on March 17. According to NFW Daily News, he was with his roommate at their friend’s apartment complex when he was injured. His roommate told the police that after the accident he couldn’t stand or swim. 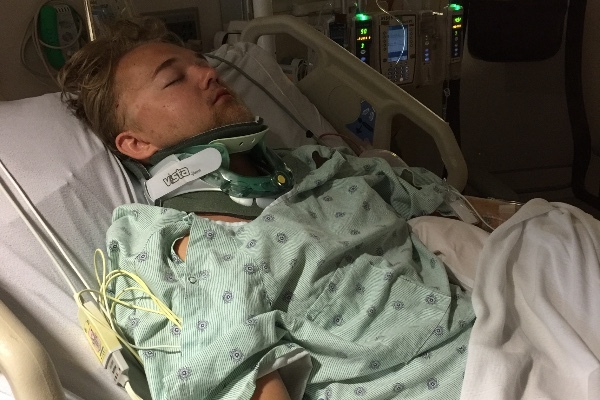 Jack Massey, lying in the hospital with a supportive neck brace. 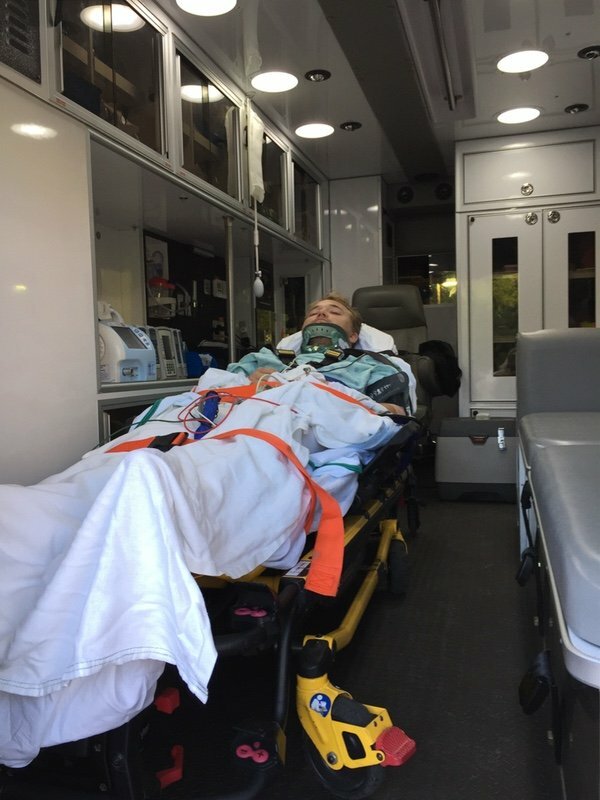 Picture from the GoFundMe page. He was taken to UF SHANDS Hospital right away and on March 24, he was transferred to Atlanta. The same day his family started a GoFundMe campaign to help with the expenses their insurance doesn’t cover. Jack Massey strapped to a gurney. Picture from the GoFundMe page. Several donors left hopeful comments and prayers. “God Bless you Jack. You’ve got so many people praying and pulling for you. You’re going to get through this and be so much stronger because of it. Looking forward to seeing your smiling face back at the Tau soon enough! We’re praying for you man.” said Will Smyrk, a friend of the family’s. Our thoughts are with Jack and his family.